Our Little Roses has been fortunate enough to have the ability for each of our girls, old and new, to work with their hands to create beautiful pieces of art through our Wood Workshop. One of the many items created in the Workshop are our beautiful Palm Crosses. 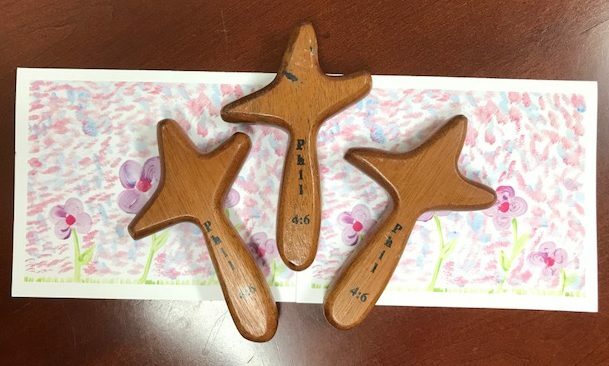 The Palm Crosses were first created at Our Little Roses in the early 2000’s due to a long-time donor and friend of OLR, Beverly. She had been gifted a wooden Palm Cross by a friend and wanted to replicate the beautiful piece to gift to a friend of her own. The OLR Carpenter, Jose, was able to secure a precious wood for the small cross and hand-designed it to fit perfectly snug in the palm of a hand. The girls of Our Little Roses Wood Workshop then began sanding the piece of wood until it was smooth and finished. Beverly was able to give the small Palm Cross to her beloved friend whom, two months later, passed away peacefully with her OLR Cross in the palm of her hand taking her from this life to the next. A similar story has been brought to Our Little Roses in 2018 by dedicated donor, Leslie Ann. One of our small Palm Crosses had made its way to Nashville, Tennessee into the hands of a wonderful man, Ed Oxford. Ed, a mechanical engineer with a passion for woodworking, created beautiful pieces from custom cabinetry to dog perches for friends and went on to tutor his grandchildren in the shop he had created in his home garage. In the Fall of 2017, Ed was diagnosed with mesothelioma and was unable to continue working on new creations in his very own wood workshop. Leslie Ann, who travels to Honduras to visit Our Little Roses annually, brought a very special gift back from the OLR shop for Ed- a Palm Cross. “[Ed] was so pleased to hear about my trip and was truly touched to have a handmade palm cross to give him comfort while fighting the cancer in his body. 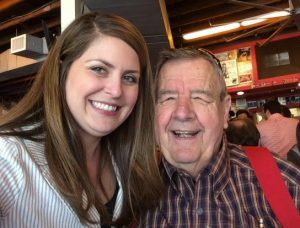 Each time I visited Ed, his palm cross was on the table next to his recliner, sitting with his glasses and his water glass – all of the essentials!” Leslie Ann recalled. 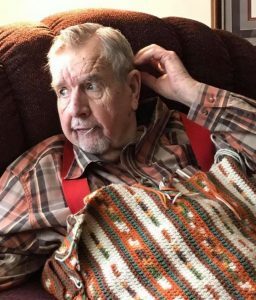 Ed Oxford passed away on Friday, June 20, 2018 peacefully in his home. He was buried with all of his wood working essentials: a tape measure, pencil, hammer, and the OLR Palm Cross he had received from his wonderful friend. 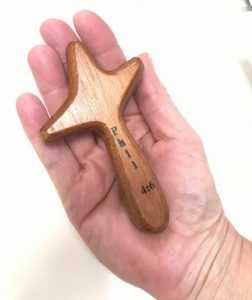 This small piece of wood made it into the hands of one of our girls at OLR, was formed into a symbol of our faith, and made it to Nashville to comfort someone fighting terminal illness, ultimately staying with him forever from this life into the next.